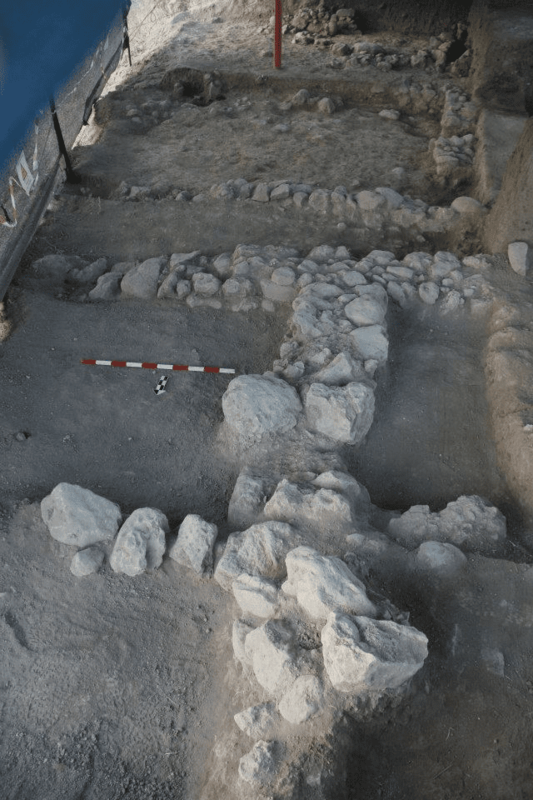 ABEL BETH MAACAH – A hoard of silver dating back to the time of the Biblical Exodus, was discovered by American and Israeli archaeologists last summer at Abel Beth Maacah, a 35-acre tel and the northernmost site in Israel. 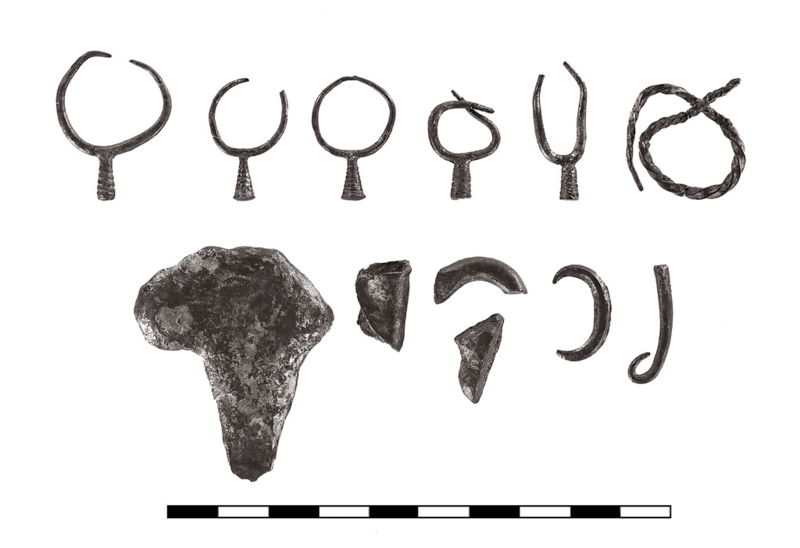 Among the artifacts discovered were five complete silver hoop earrings, three silver earring fragments, three ingots and a twisted piece – inside a small jug dating back some 3,200 years ago. The hoard is one of only 20 silver hoards ever discovered in Israel. “The jug and its contents appear to be Late Bronze Age or Early Iron Age, in the 13th century BC, the time of the Exodus and wilderness wanderings described in the Hebrew Scriptures,” said Robert Mullins, Ph.D. associate professor of Biblical studies at Azusa Pacific University in a university press release. 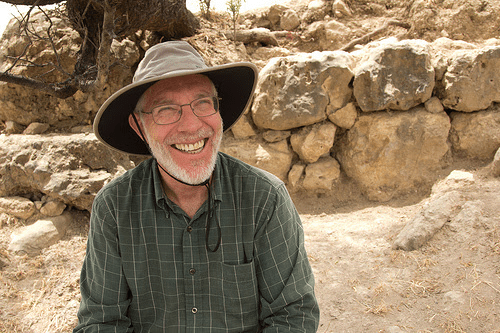 Mullins lead the dig at Abel Beth Maacah last summer together with Nava Panitz-Cohen, Ph.D. from the Institute of Archaeology at Hebrew University and nearly 40 team members from their respective universities as well as other institutions. According to Mullins, Biblical texts suggest that at one point Abel Beth Maacah may have been the capital of an Aramean kingdom (2 Samuel 10:6, 8 and 1 Chronicles 19:6). The first Biblical reference to the city is in the second Book of Samuel in the context of a call of revolt against King David. In regard to its strategic role as a city guarding Israel’s northern approaches, the city is mentioned in two other Biblical references. The city is mentioned in the first Book of Kings, when Ben-Hadad of Damascus conquered it in the early 9th century BCE (1 Kings 15:20) and later in the second Book of Kings, the city is mentioned again when it was conquered by the Neo-Assyrian monarch, Tiglath-pileser III (2 Kings 15:29). “If there is any one site in Israel that I had always wanted to excavate, this was the one,” Mullins told Tazpit News Agency. He sites that part of the reason is that Abel Beth Maacah is the perfect place to study the nature of cross-cultural interaction in antiquity between Arameans, Israelites and Phoenicians. Abel Beth Maacah is the last major biblical site specifically mentioned in the Bible to be explored by modern-day archaeologists. Yigal Yadin had wanted to initiate an excavation project there in the 1950s, but decided to excavate at Hazor instead, according to an article published in the journal Strata on the importance of this archaeological site. Azusa Pacific University’s dig will resume this summer at Abel Beth Maacah with Mullins and Panitz-Cohen continuing the work they began in 2013 with a team of archeologists and scholars from Cornell University, Trinity Evangelical Divinity School and Indiana Wesleyan University. While Mullins doesn’t know yet what will be found this summer, he expects a rich historical experience. 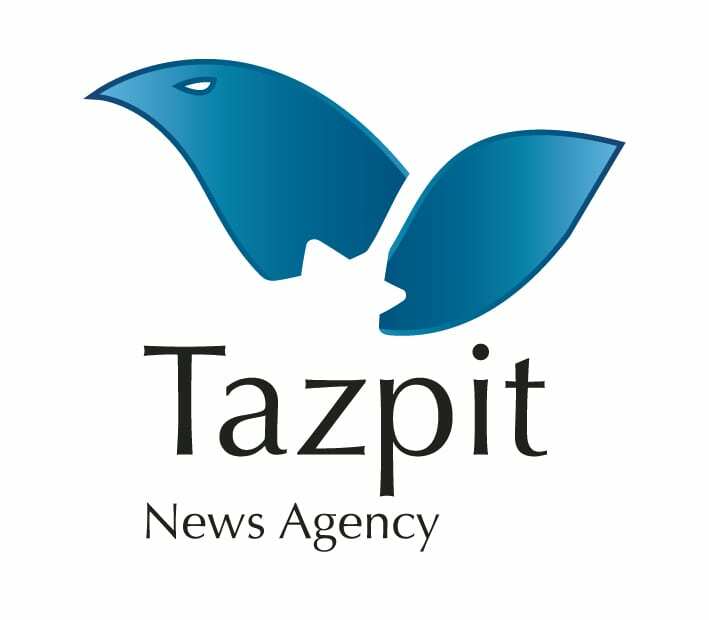 “I look forward to furthering our understanding of the history and religious practices of the site in it all its periods – including the time that coincides with King David and the infamous Sheba’s rebellion” he told Tazpit.